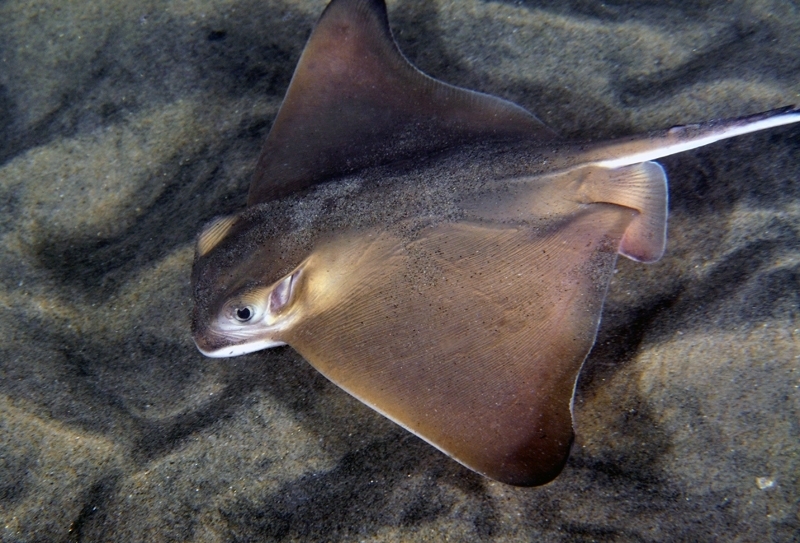 The Bat Ray is named for the wide, angular shape of its pectoral disc with trailing ‘wing’ tips and dark brown to black coloring on top. 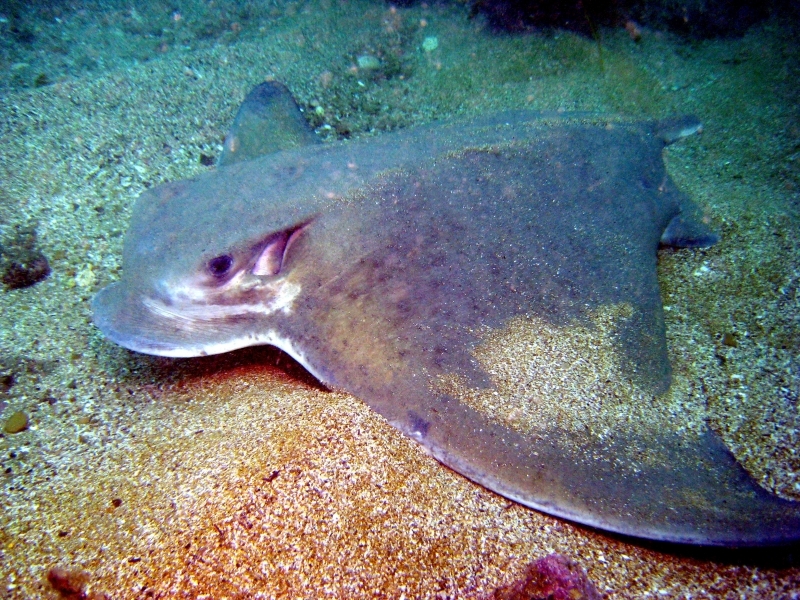 It has a whip-like tail twice the length of its body, with a venomous spine at the base and distinctly protruding head and large eyes. 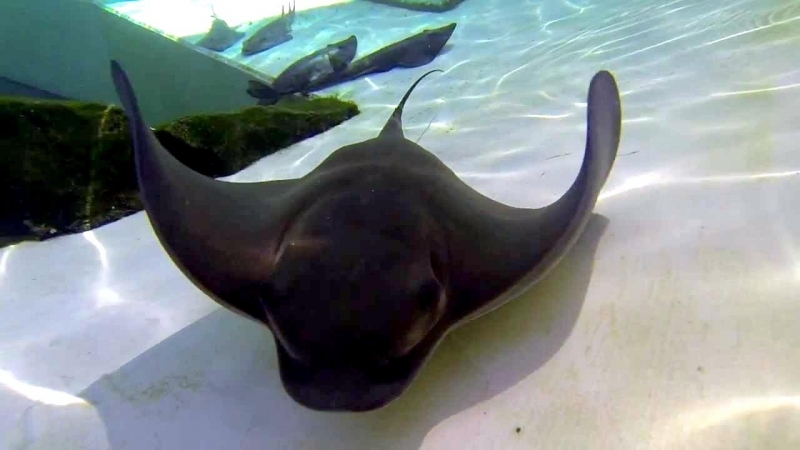 Bat Rays swim gracefully by flapping their bat-like wings (pectoral fins) bird style, a feature that gives these rays their common name. 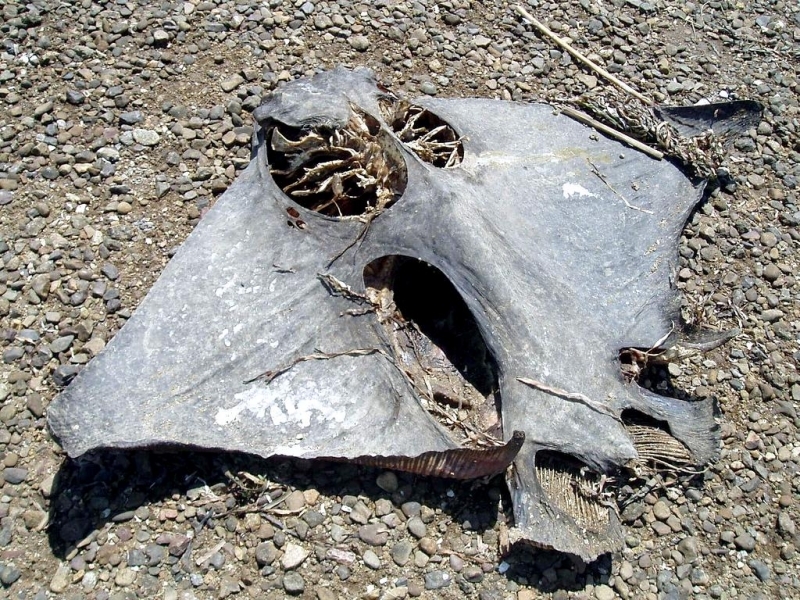 Those bat-like wings also serve in the hunt for food. 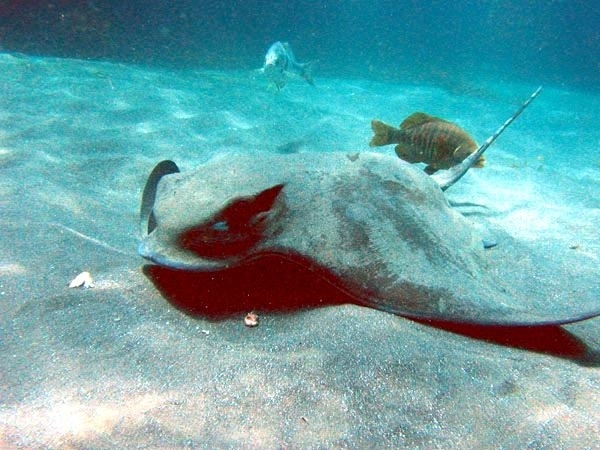 Bat Rays flap their pectoral fins in the sand to expose buried prey, like clams and also use their lobe-like snouts to dig prey from sandy bottoms. 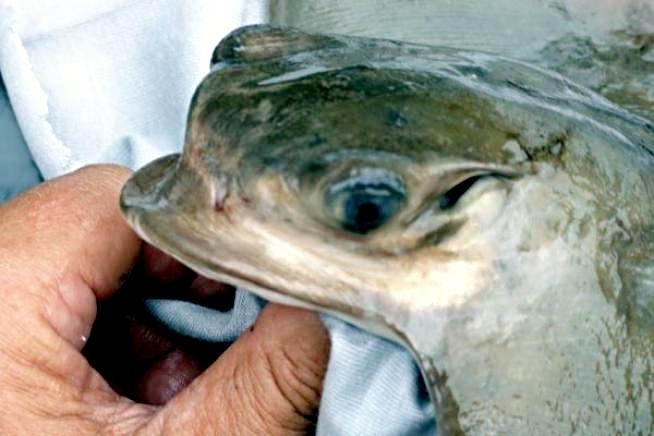 The resulting pit can be up to 13 feet (4 meters) long and 8 inches (20 centimeters) deep, an important source of “leftover” small prey for fishes that can’t dig. 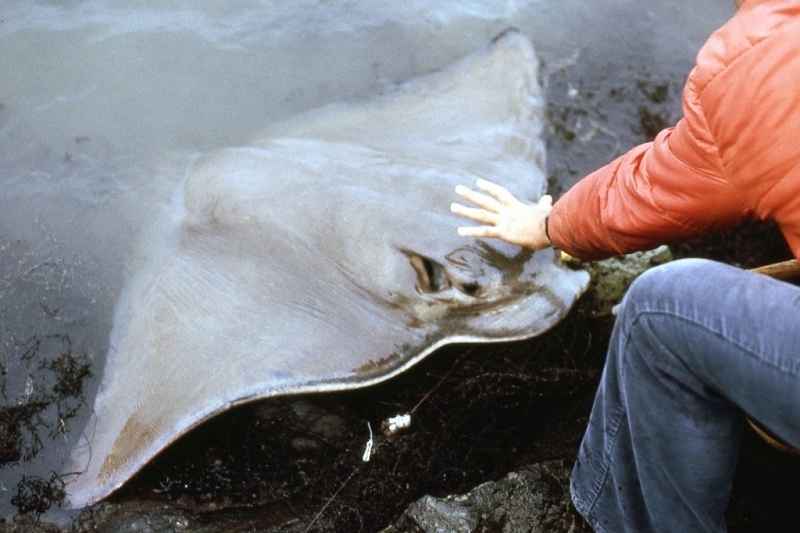 The maximum disc width reported for the Bat Ray is 6 feet (180 centimeters) with a maximum weight of close to 200 pounds (91 kilograms). 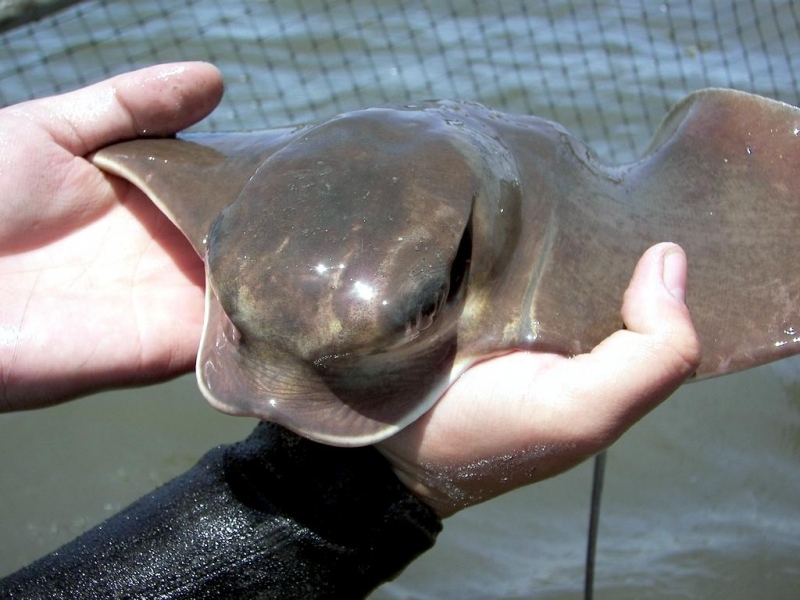 At birth, young Bat Rays have a disc width of approximately 1 foot (.3 meters). 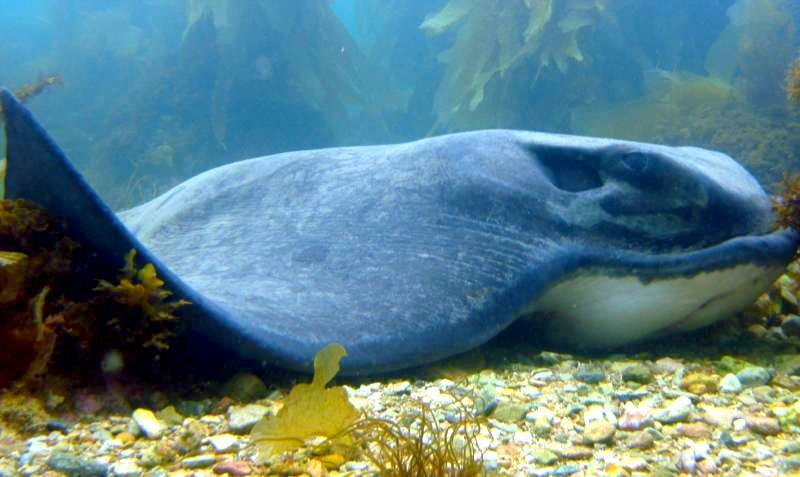 Typically, females grow larger than males, reaching weights of up to 200 pounds (91 kilograms). 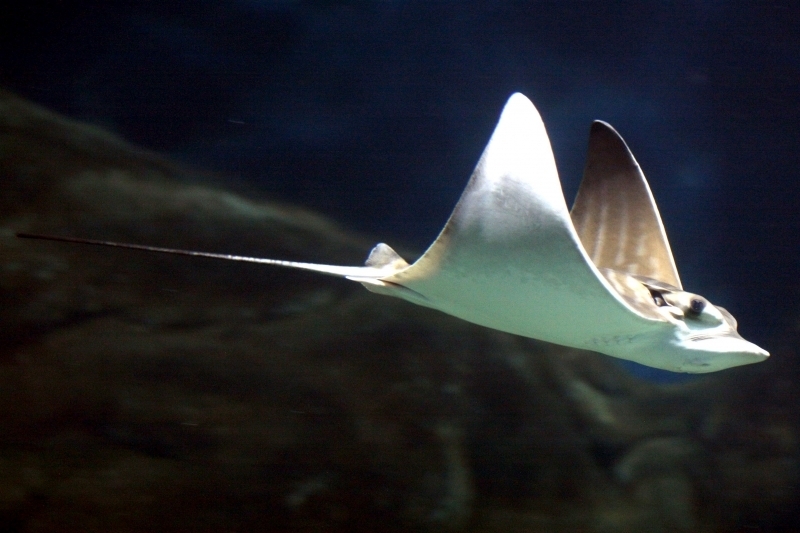 Bat Rays are known to live at least 23 years. 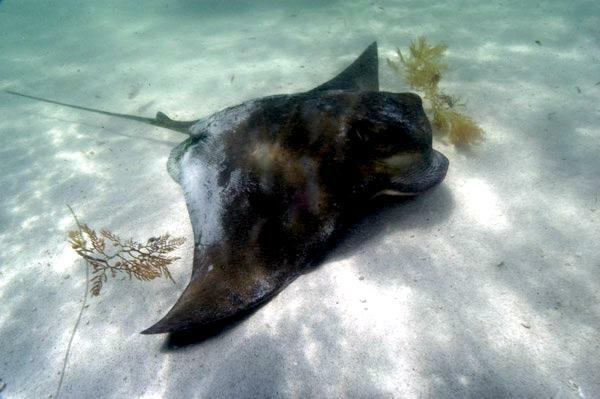 Males reach maturity at disc widths of approximately 26 inches (67-68 centimeters) and weights of 10 pounds (5 kilograms) while females mature at larger widths than males and weights of at least 50 pounds (23 kilograms). 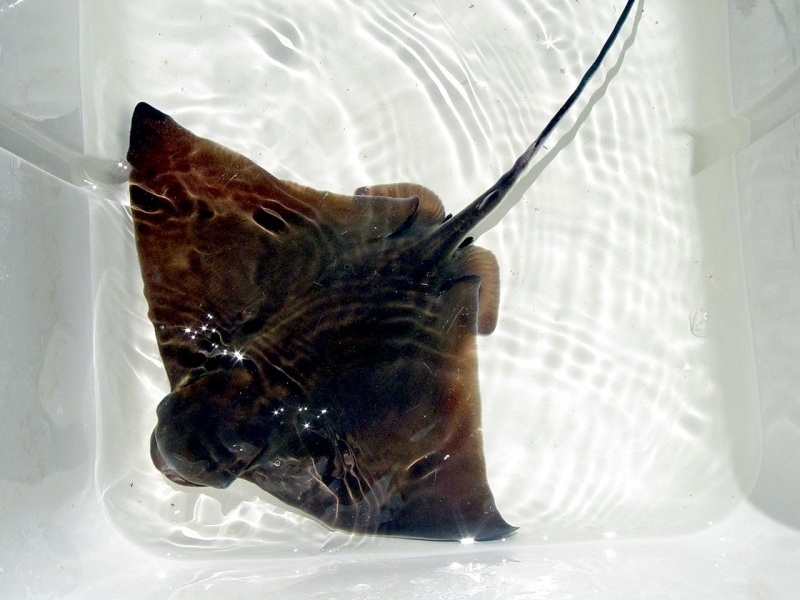 Age of maturity varies between 5 and 6 years for females and 2 years for males. 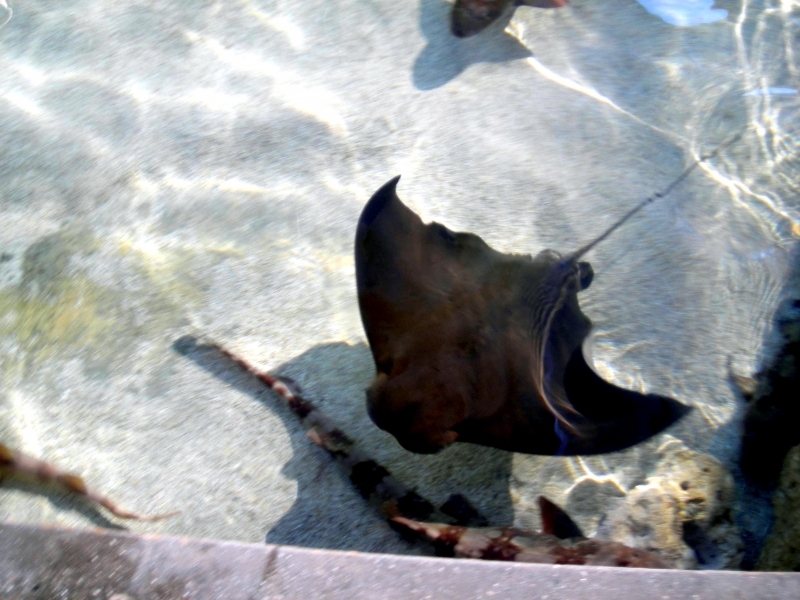 Bat Rays are known for their ability to jump out of the water and skim along the surface. 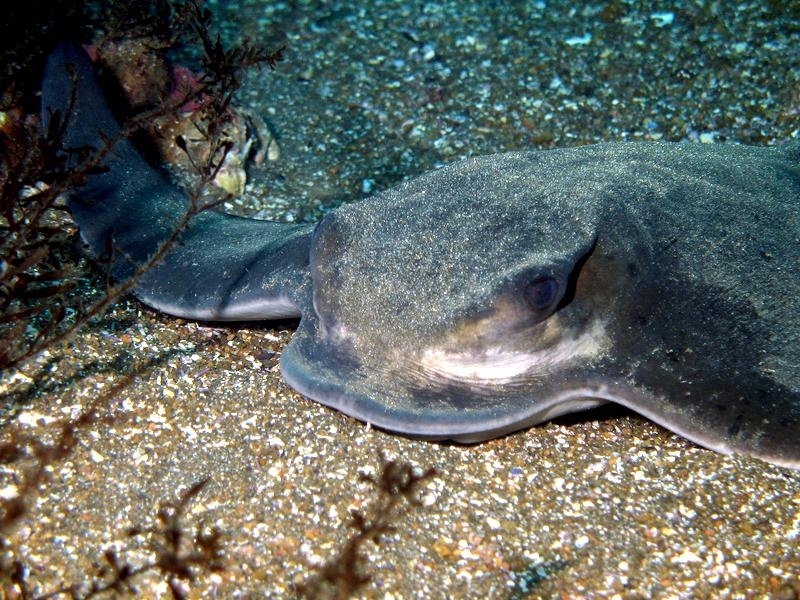 Seals, sea lions and sharks prey on Bat Rays who like the shallow and sandy areas in bays and estuaries. 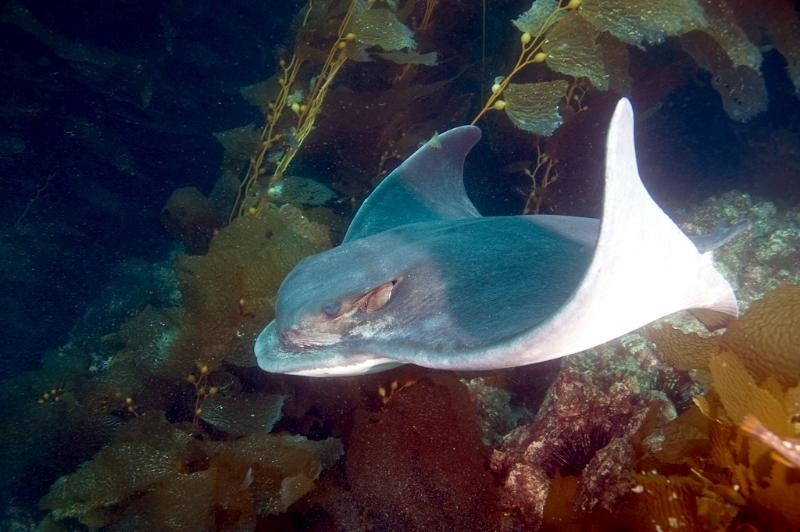 They are also known for living near reefs & kelp beds. 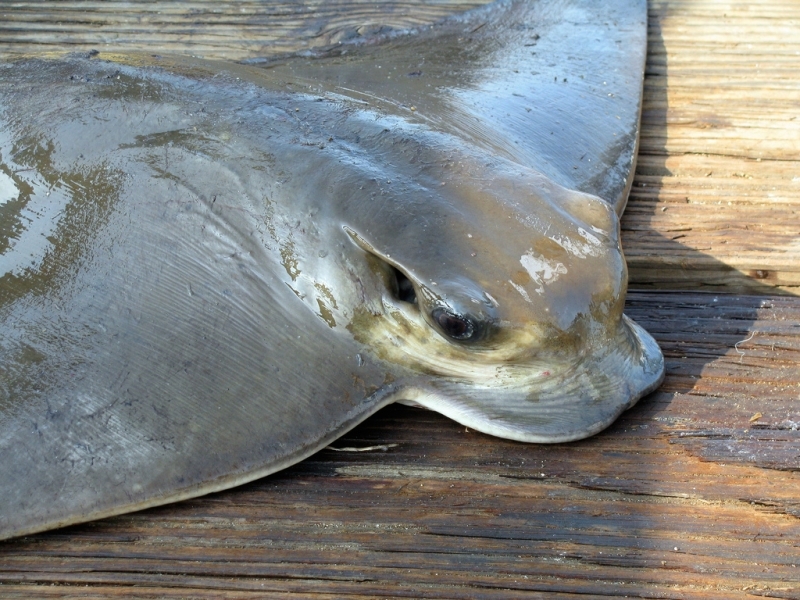 Bat Rays can be found in muddy areas & sloughs buried in the sand. 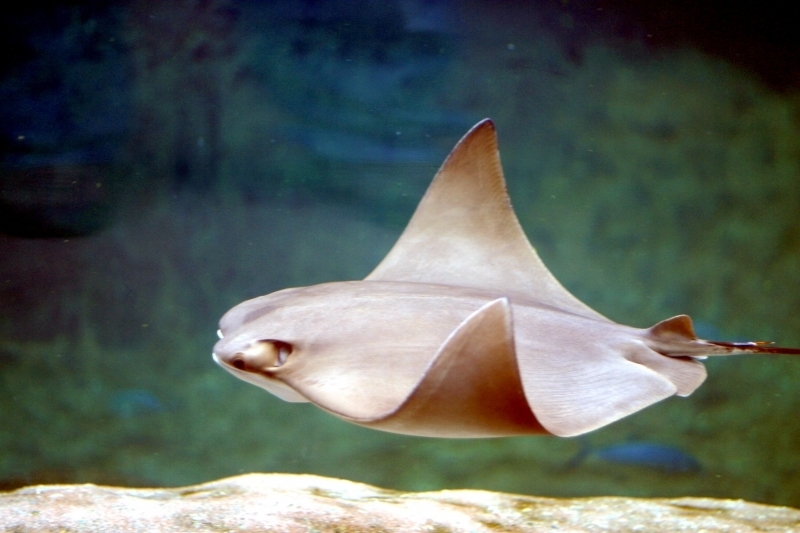 Bat Rays are also native to the Eastern Pacific from Oregon to the Gulf of California and the Galápagos Islands. 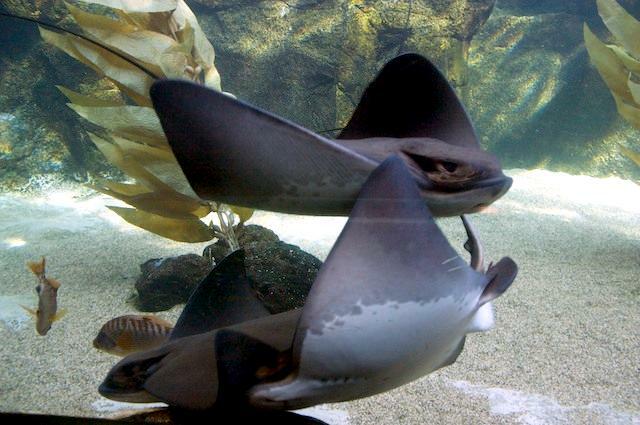 Bat Rays have 1 to 3 venomous barbed spines at the base of their long tails, but these docile animals sting only to defend themselves. 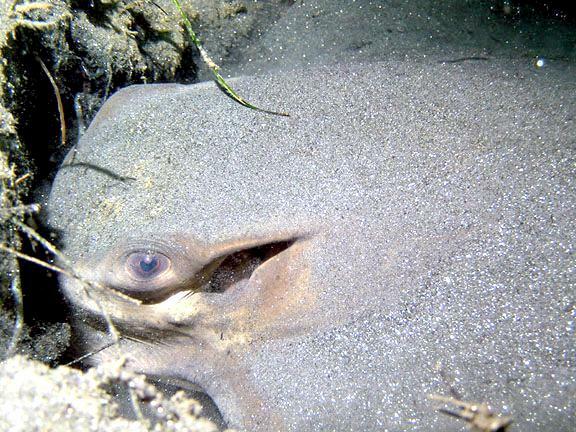 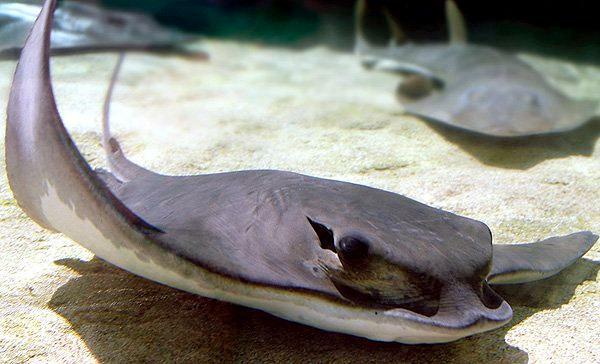 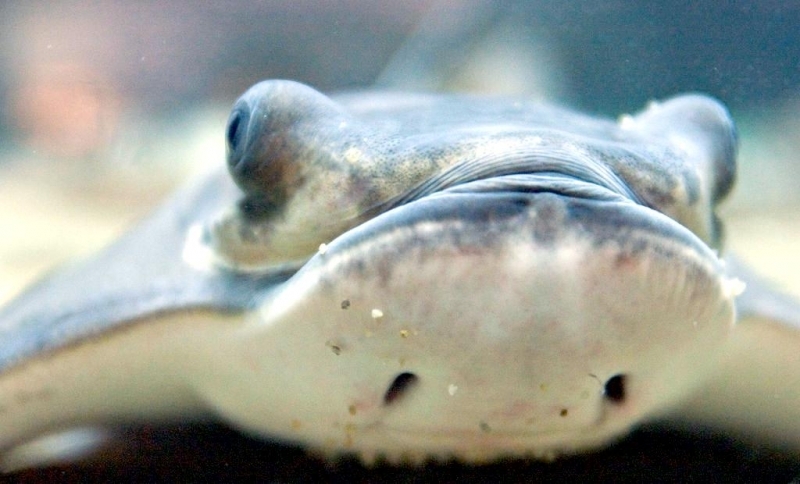 Bat Ray teeth are fused into plates that can crush the strongest clam shells. 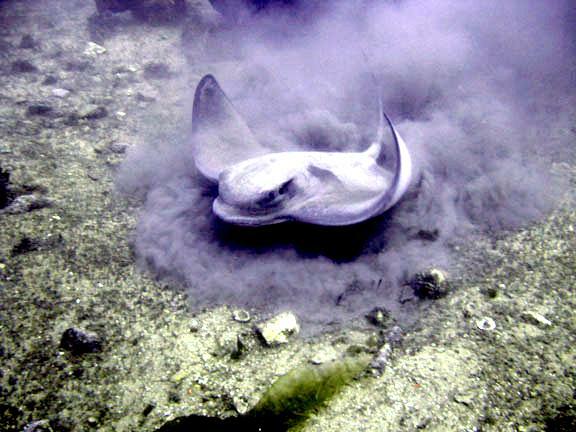 They crush the entire clam or other mollusks inside their mouths, spit out the shells and then eat the soft, fleshy parts. 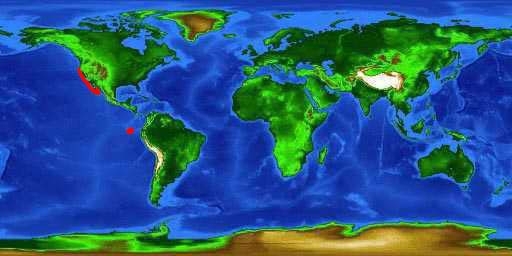 If a tooth breaks or wears out, a new one replaces it. 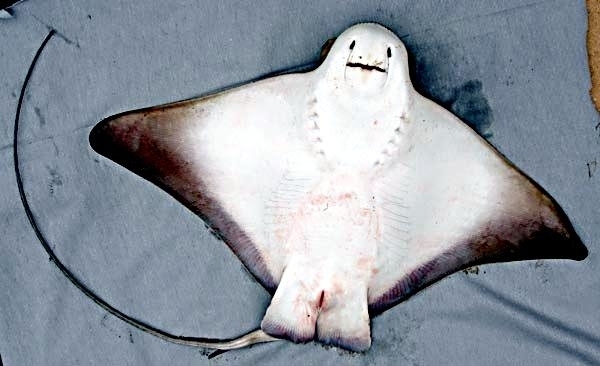 Bat Rays grow new teeth continuously. 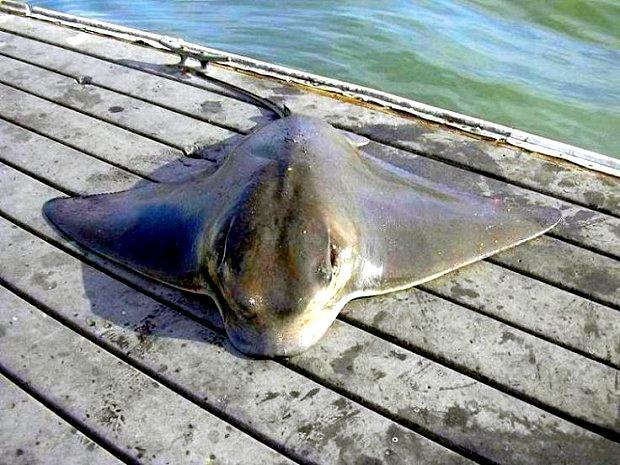 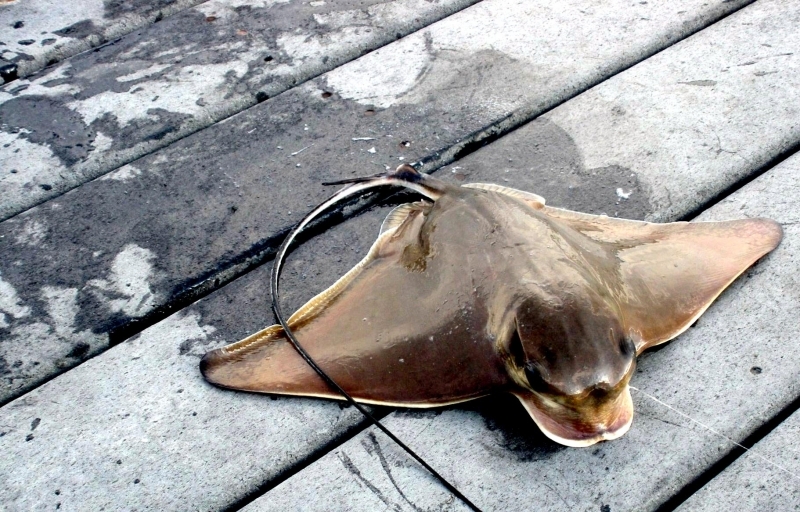 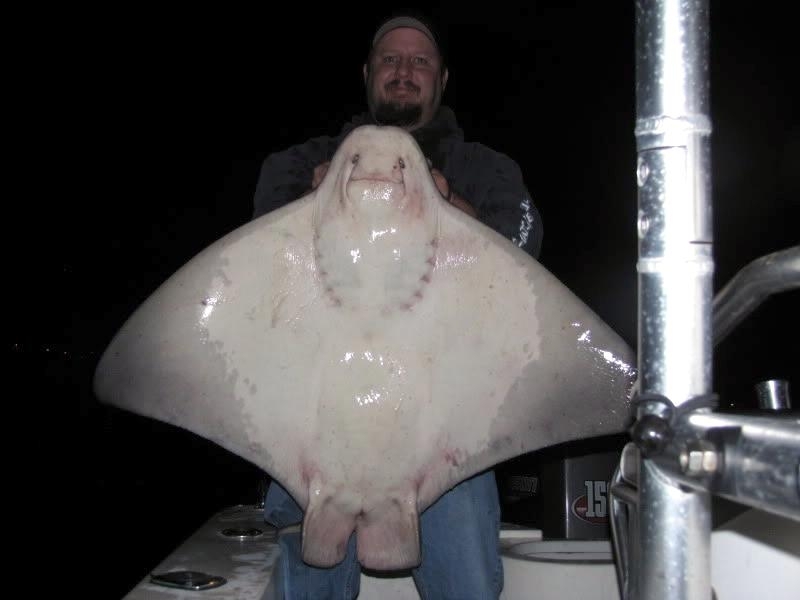 Because they struggle actively when caught, Bat Rays are popular with and even sought after by sport fishermen. 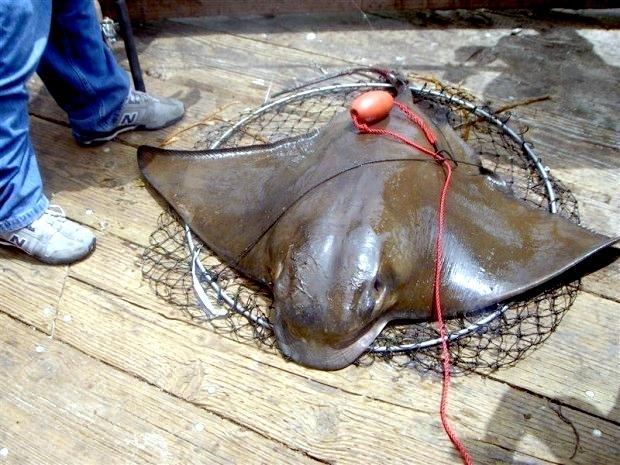 There are no commercial fisheries along the California coast, but commercial fishing exists in Mexican waters where Bat Rays are a food fish. 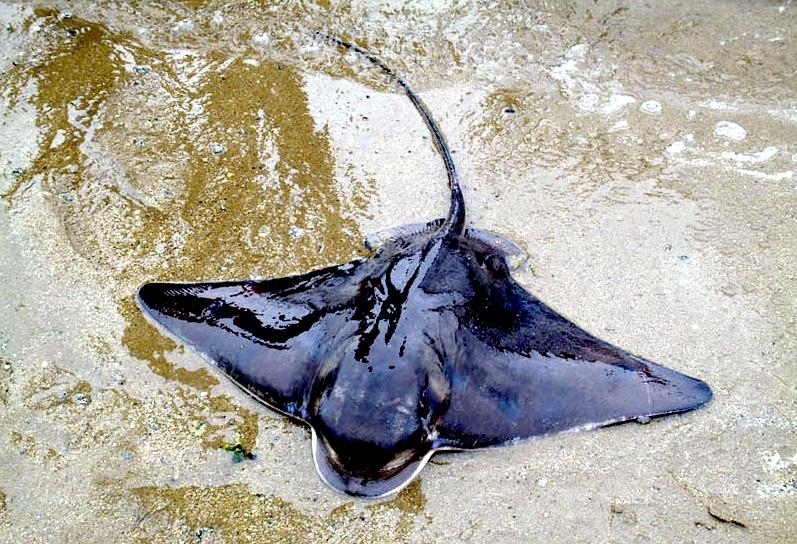 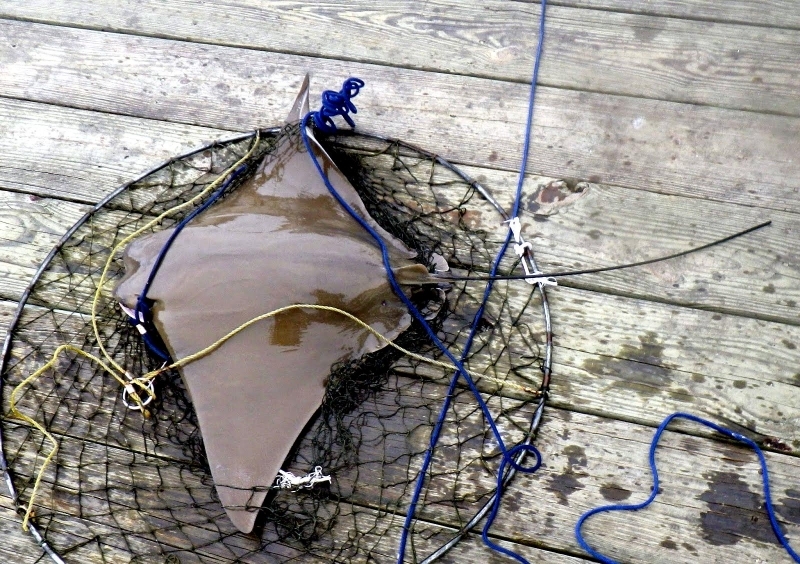 For many years, oyster growers trapped Bat Rays because they thought Bat Rays ate large numbers of oysters. 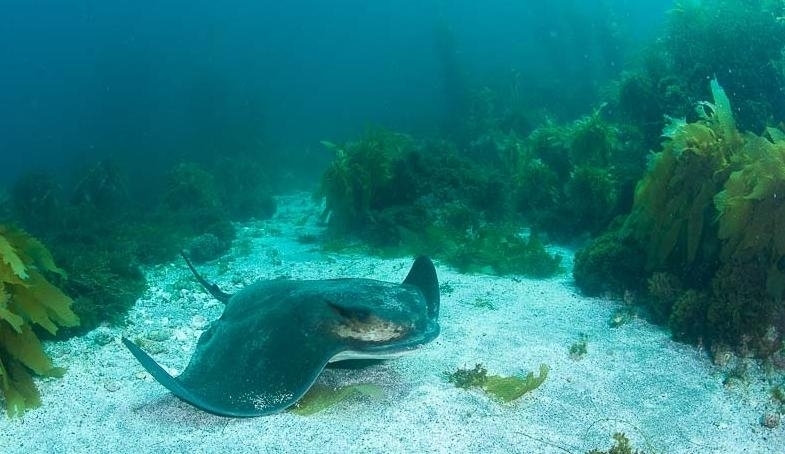 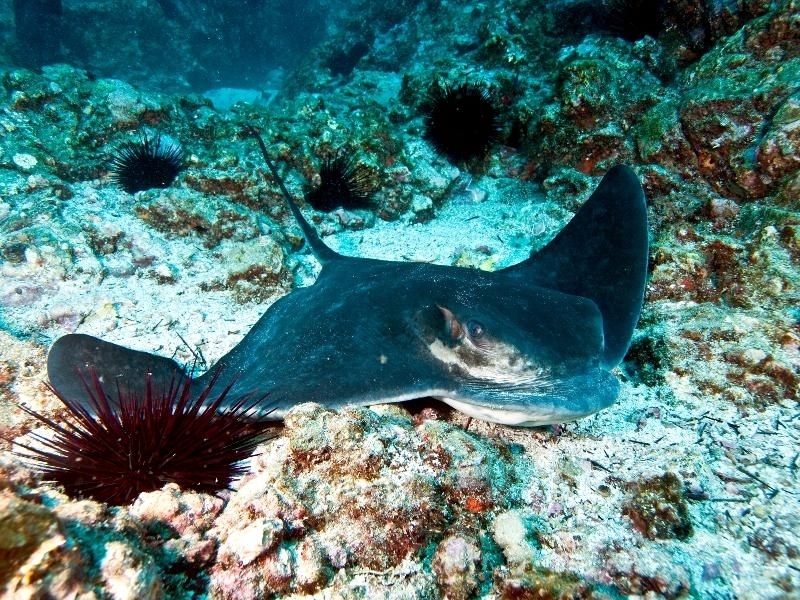 But recently researchers have discovered that Bat Rays rarely eat oysters and that crabs were destroying the oyster beds. 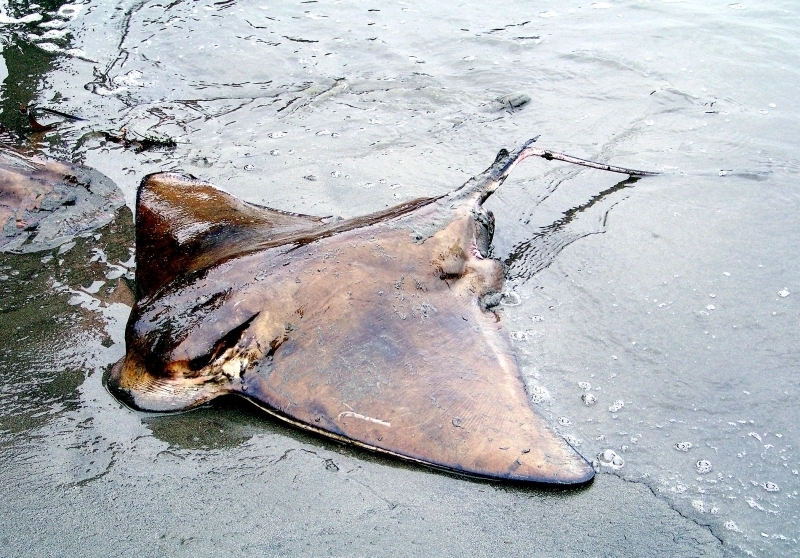 The oyster growers were actually causing the destruction of their own oyster beds by trapping Bat Rays which eat crabs. 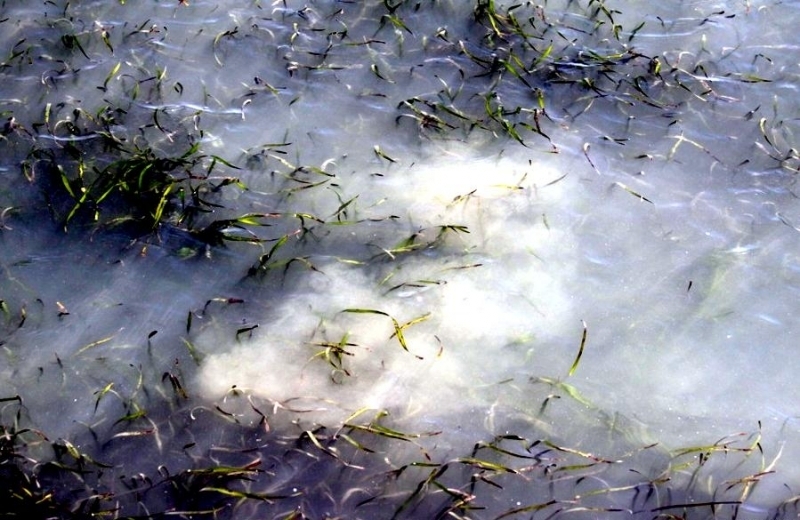 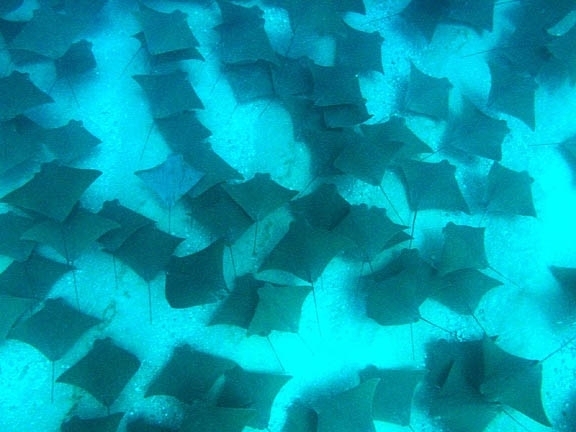 Several bays & wetland areas along the California and Pacific Coast of Baja are important nursery and feeding grounds. 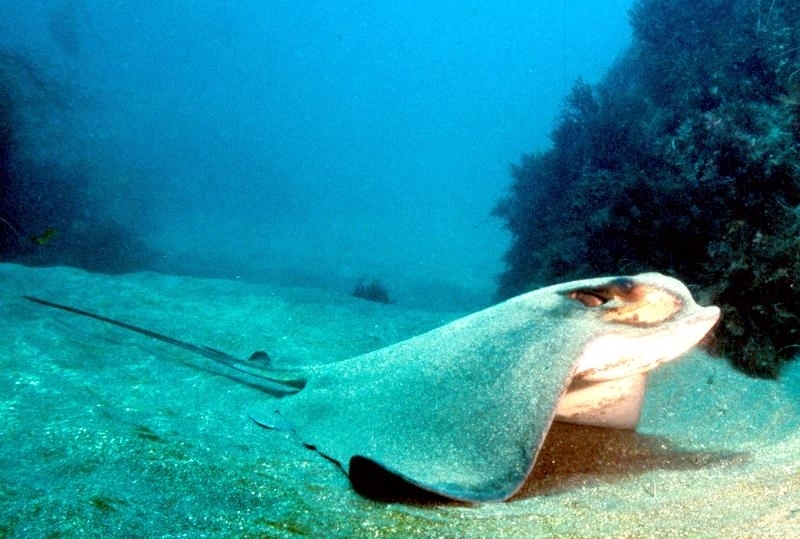 Bat Rays reproduce on an annual cycle, mating during spring or summer. 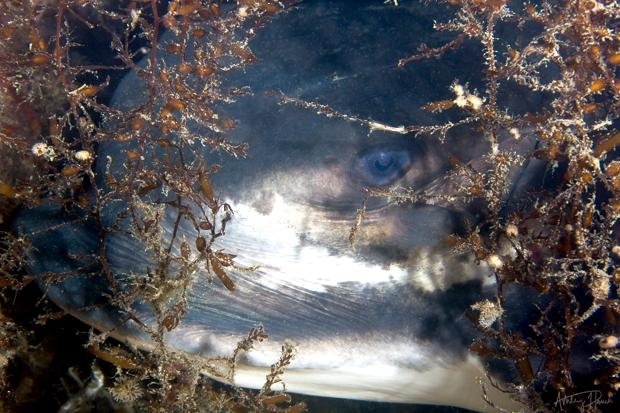 After a gestation period of 9 to 12 months, females give live birth to 2 to 10 pups, the number depends on the size of the mother. 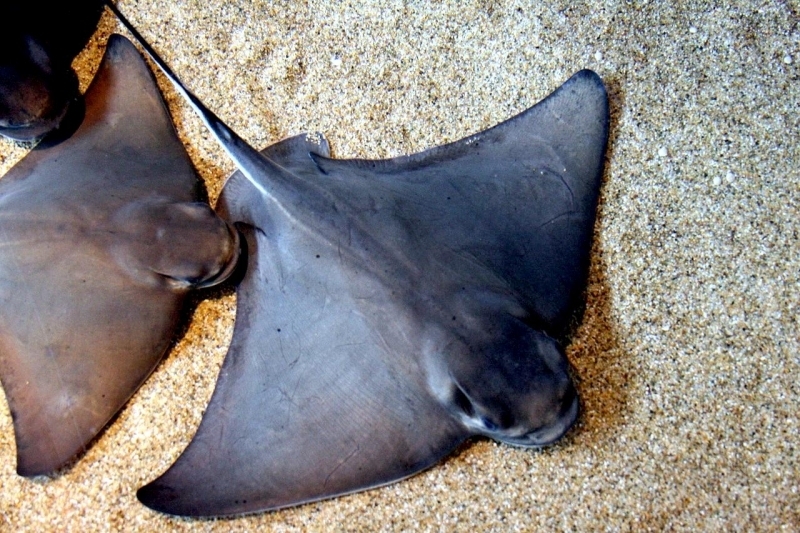 Pups emerge tail first, with their wings wrapped around their bodies. 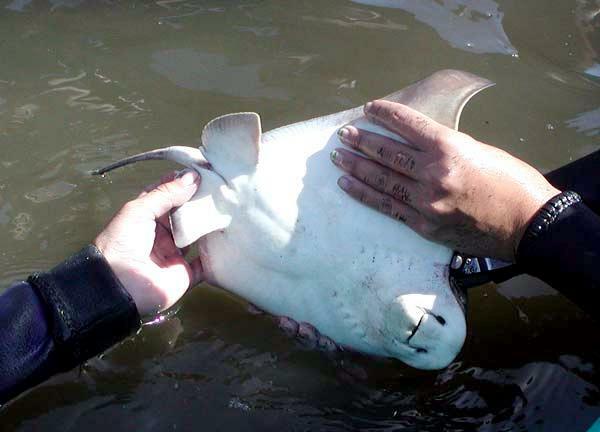 To protect the mothers, the pups’ stinging spines are pliable and covered with a sheath that sloughs off after birth. 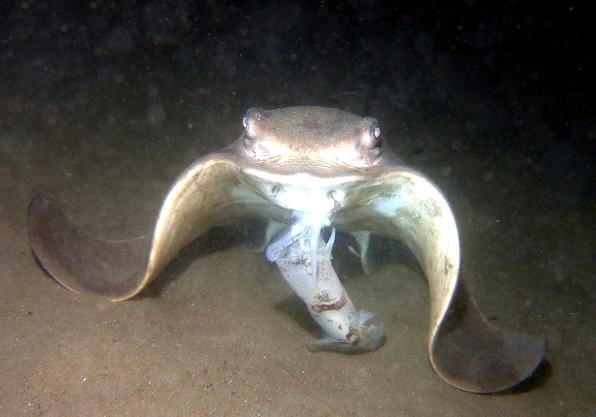 The spine soon hardens, ready for defense within a few days. 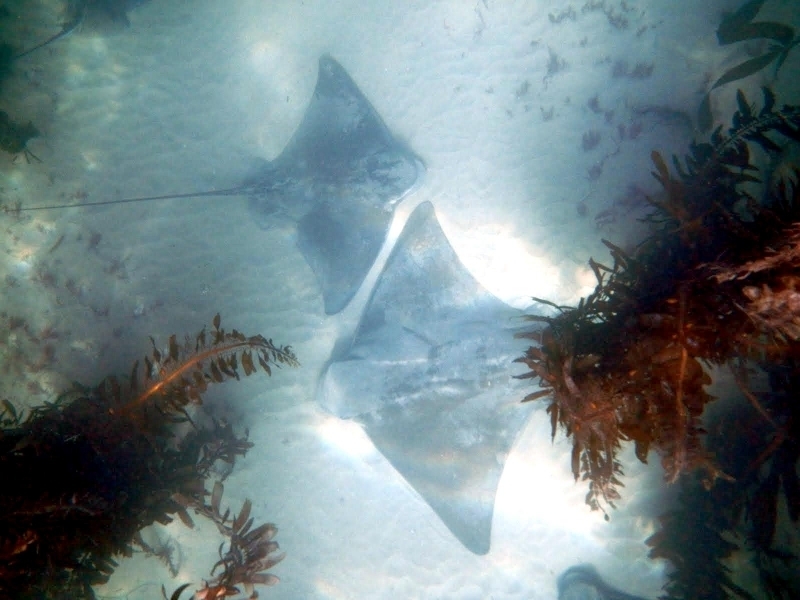 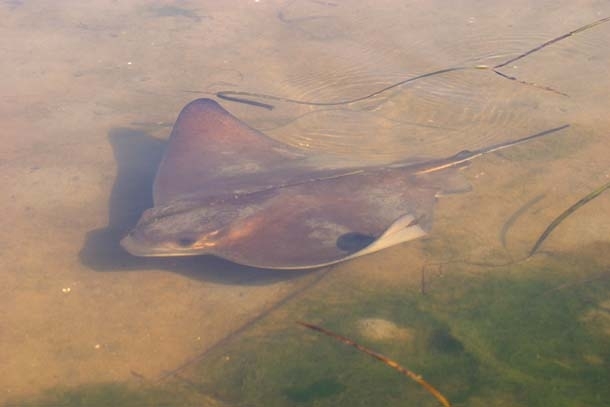 When Bat Rays mate, the male selects a mate and determines her reproductive state by swimming closely behind her to detect chemical signals. 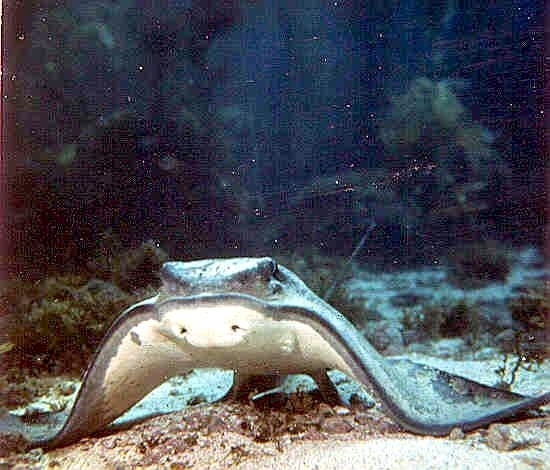 If the female is ready to mate, the male swims underneath the female to her belly with his back to her belly and rotates a clasper to position it near her cloaca. 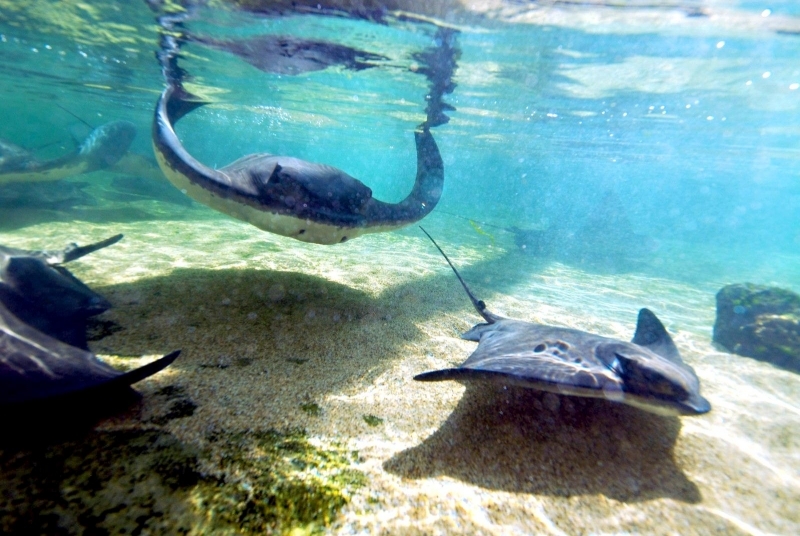 In the middle of copulation, the two swim together with synchronized beats of their wings. 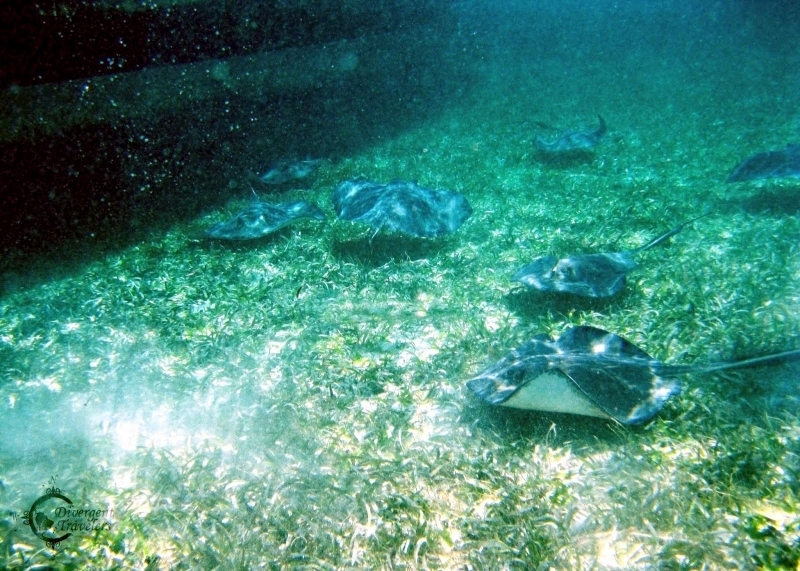 Females join together during mating season and help the males in the selection of a suitable mate by protecting sexually immature females and females that have already mated. 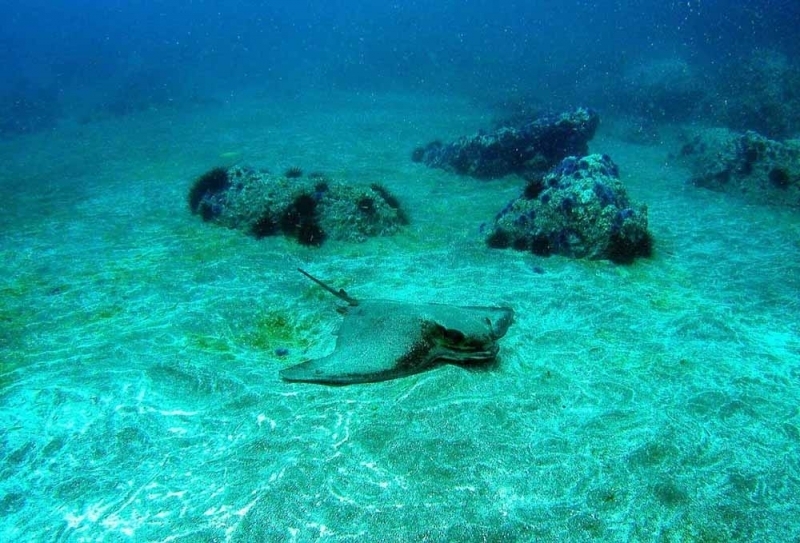 One million year old Bat Ray fossils have been discovered in Pliocene deposits. 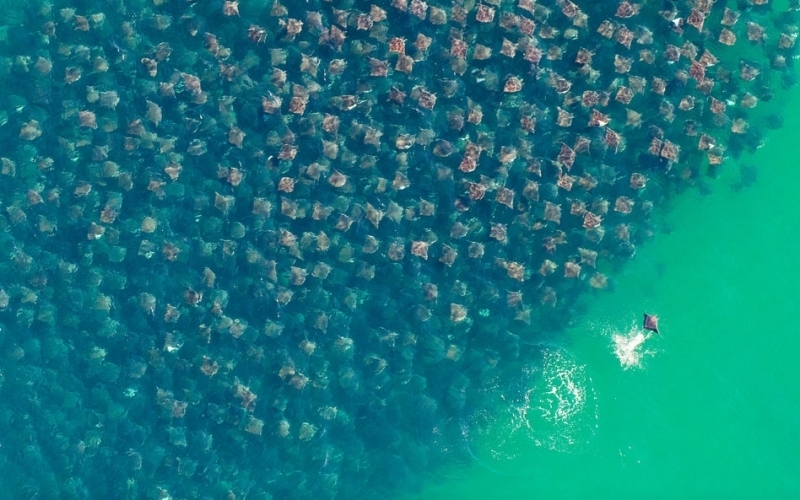 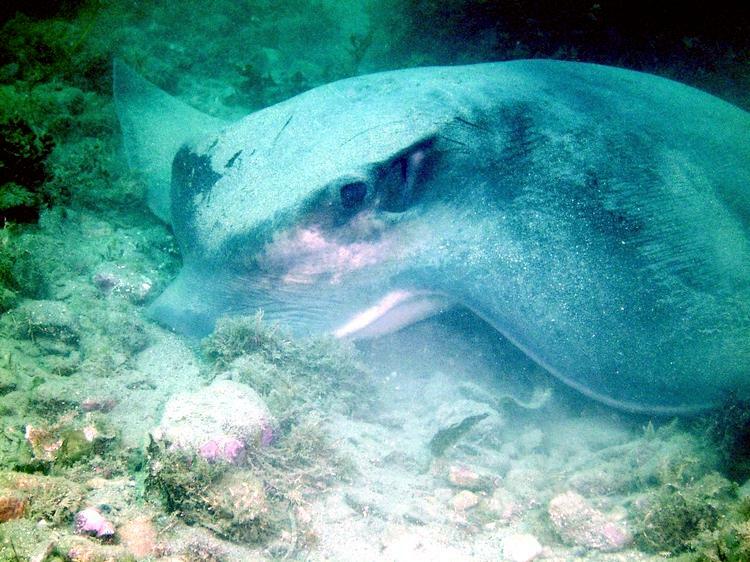 Bat Rays usually lead a solitary life, but may be found in groups of thousands. 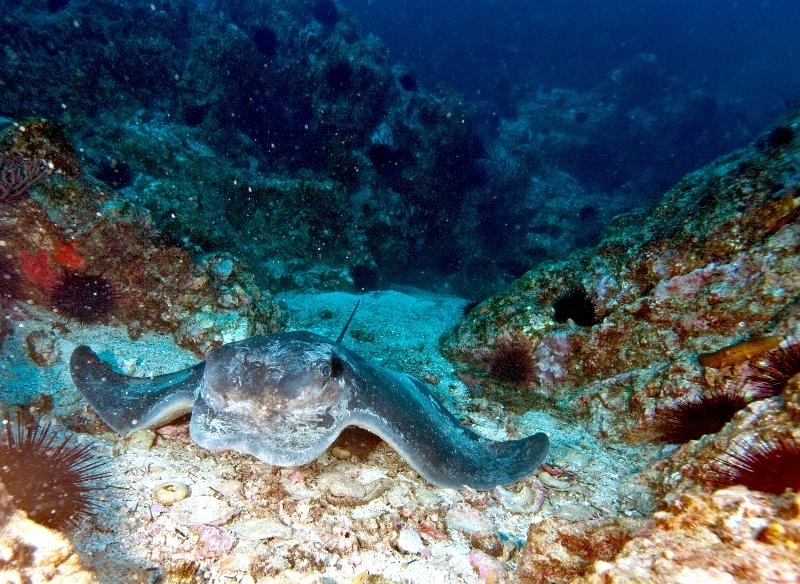 If disturbed while resting on the seafloor, Bat Rays raise themselves up on the tips of their pectoral fins with their backs arched, ready to swim away if a diver approaches too closely.